What’s a long weekend without waffles? 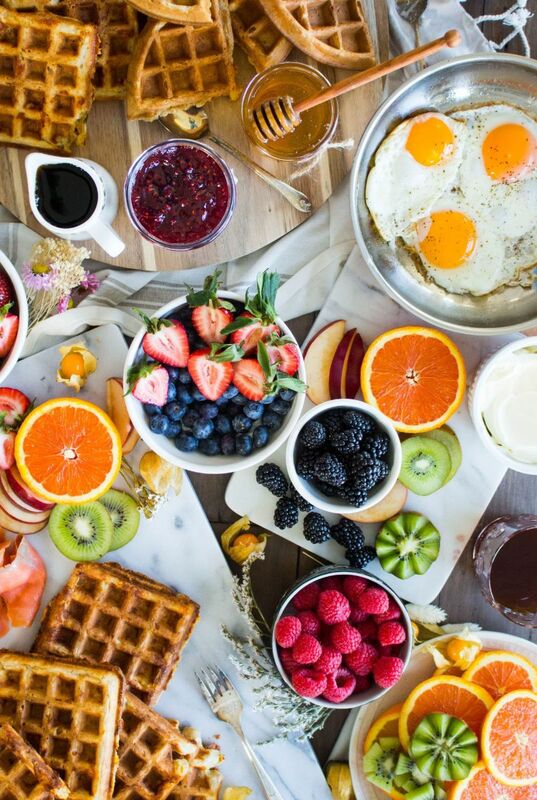 Set out a spread of sweet and savory waffles with ALL the toppings and let friends and family DIY. If you’re feeling extra productive, go ahead and make a double batch of both waffles recipes and freeze the extra to reheat in the toaster for a quick and easy weekday breakfast. 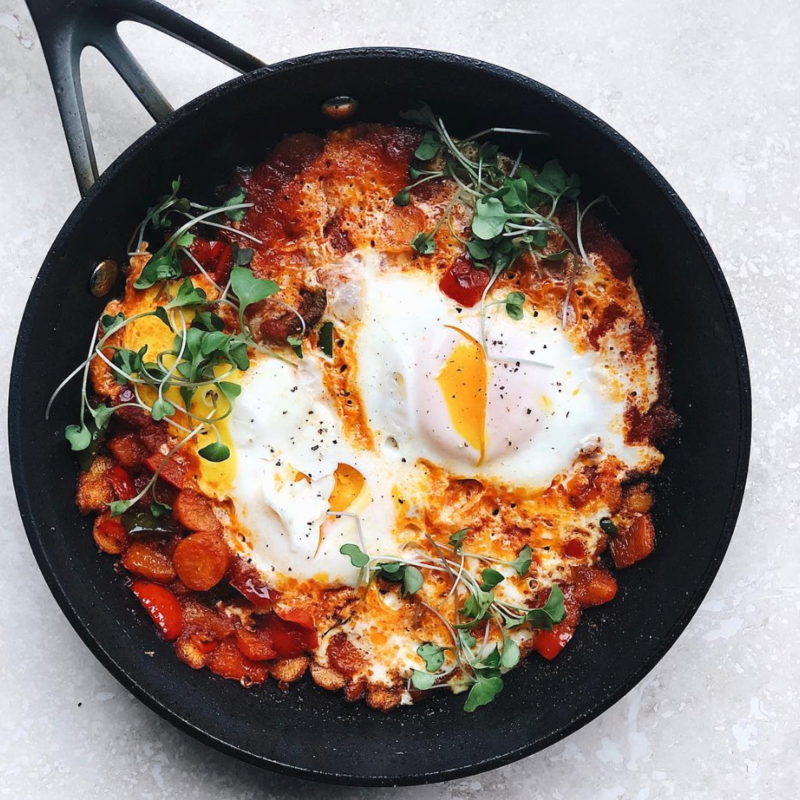 A good Shakshuka can make or break a brunch. It looks elaborate but honestly it can made in less than 20 minutes. Sshh.. the guests don't need to know that! Why cook one egg at time, when that time could be better spent drinking an extra mimosa?! This recipe calls for regular sausages but the beauty of a Shakshuka is that the ingredients can be swapped with whatever you have on hand. Maybe add some chorizo, or beans.. the sky's the limit! Use a large braising skillet or dutch oven so it can fit 6 - 7 eggs at once. Serve the finished dish with a warm toasty chunk of bread. Stacks on stacks on stacks! Kick off a holiday weekend with a batch of good ol’ pancakes. These flapjacks boast a rich vanilla flavor and pillowy soft texture thanks to a heavy hand of creamy almond milk. Letting the batter sit for at least 10 minutes in order to let the gluten relax, thus yielding the fluffiest cakes possible. 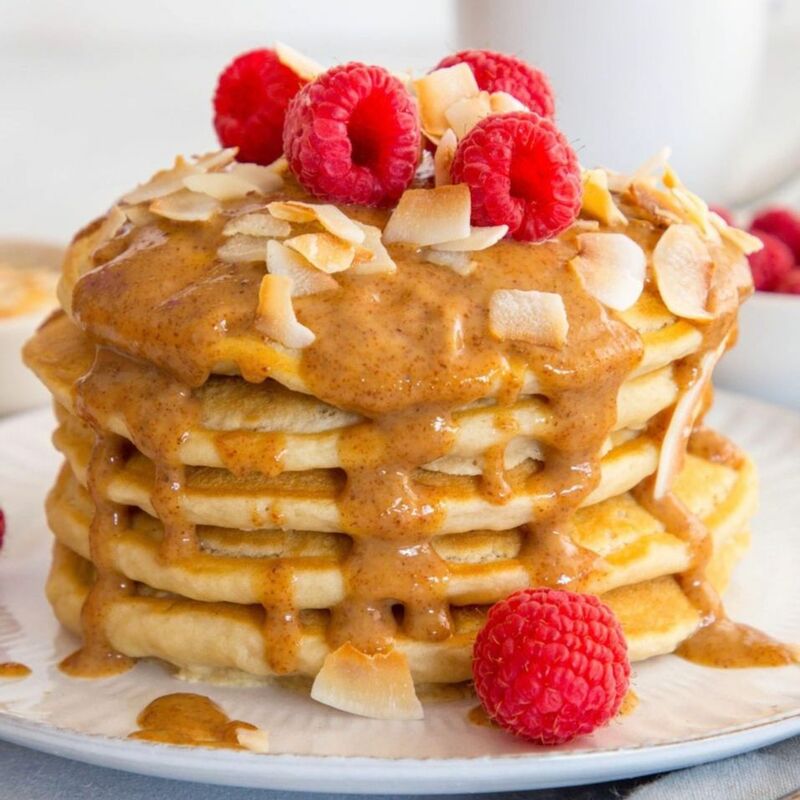 Don’t skimp on this almond butter drizzle–it’s that good! 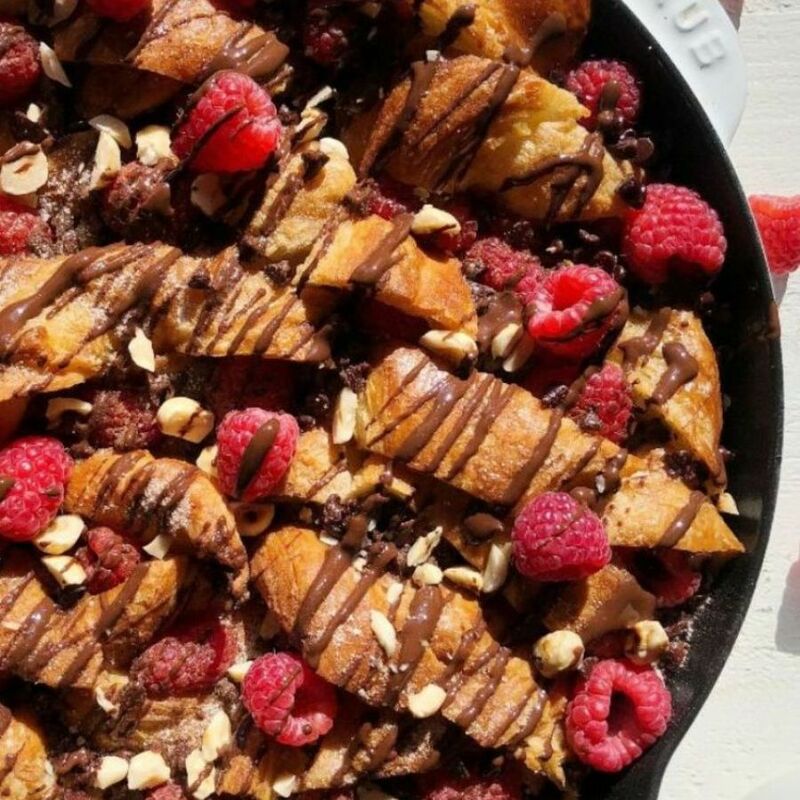 What better excuse to eat dessert for breakfast than croissant bread pudding? The flaky morning pastry gets bathed in a bourbon custard with chocolate, hazelnuts and raspberries before hitting the oven. The best part? It’s assembled the night before, so you just have to pop in the oven and brunch is served. The resulting dish is a sweet reminder that you’ve got one extra day to sleep in! 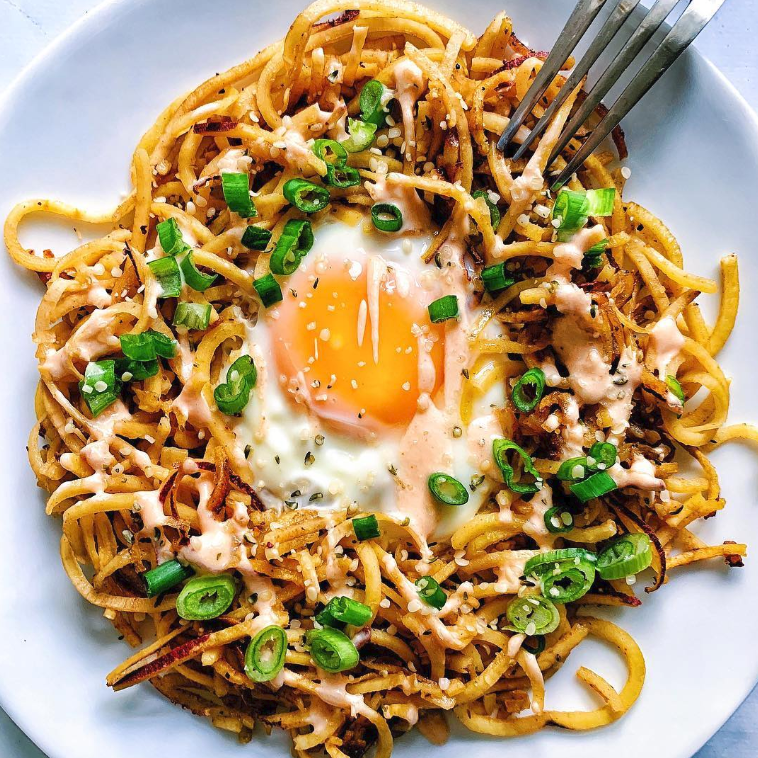 When hosting a brunch, timing is key. Have all ingredients ready to go so when the guests come to eat, everyone eats together! This recipe calls for cooking the potatoes fully in the frying pan. Want to get ahead? Par cook the potatoes until JUST al dente, set aside and build the nests on a large sheet pan. Add the eggs and bake at 350˚ F for about 7-9 minutes, or just until the egg whites have set.